Steve has the know how to do quality work and stick to a deadline. We appreciate this very much. Very happy with results. My bathroom turned out just as I envisioned it. Built an entire shower, had to move doors, close things off, new in floor heat, a major redo.What I liked most is he took care of everything. So many places sell the needed items but do not install them leaving you to find your own contractor.Couldn't be happier with results! I literally can't say enough amazing things about Emmet Kitchen & Bath. This was the second home project that I have hired EK&B for and it will most certainly not be the last. I believe that the professionalism, value, respect and commitment to my project needs can't be found with another company. EK&B has my loyalty and highest recommendation for any project! 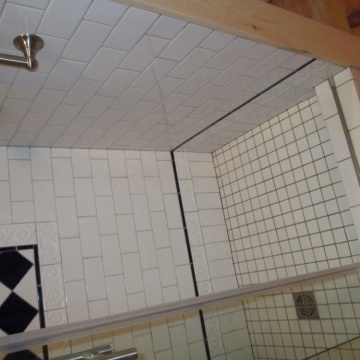 Being a picky architect, I designed a new shower for our master bathroom that required tile joint lines to align perfectly with existing floor tile and window. 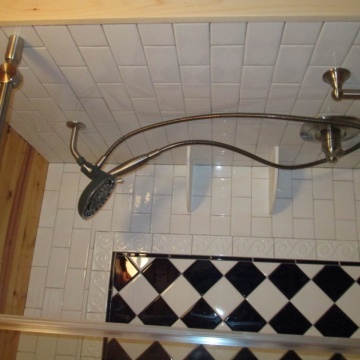 This was a demanding job that required a skilled and talented craftsmen to accomplish. 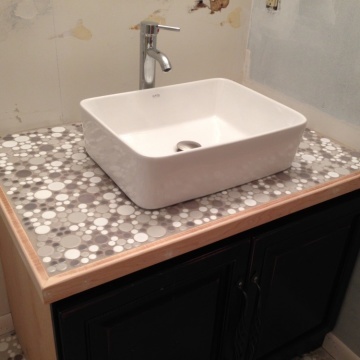 We could not be happier with the work of Emmet Kitchen & Bath. What incredible work they do! 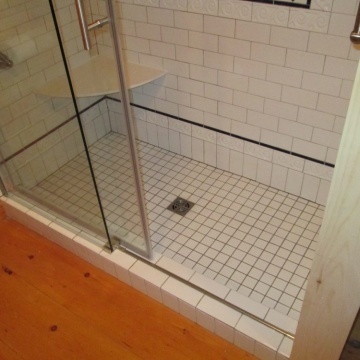 When my tile bath tub/ shower walls started to fall apart, I went in to panic mode. We have a household of 6 and being down a bathroom gets very tricky. I was recommended Emmet Kitchen and Bath by a colleague. Steve from EK&B came to the home very quickly, provided a reasonable estimate with flexibility for the needs/ changes I created and scheduled our remodel for just 2 weeks out. Steve and the subcontracted workers (Gene and Jeff) were punctual, professional, kind and pleasant to work with. The mess was very minimal and they even tolerated a very nosy golden retriever who really wanted to help! I felt very comfortable with them in my home. When the project was done, I could not believe my eyes! I keep going back in there just to look at the results. I am thrilled! Well done, Emmet Kitchen and Bath! Steven was great and answered a lot of questions. 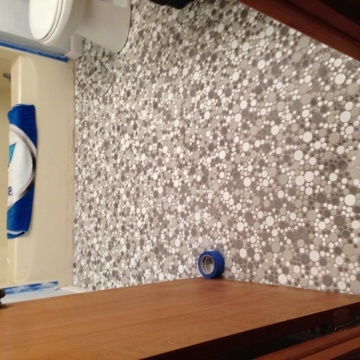 I was present during the installation and he taught me a few things while he was installing the bathroom. The craftsmanship was really good. We did this whole project in a short period of time. It met schedule and budget. I really feel they did a wonderful job. I was most satisfied with the timeliness of putting this project together, it was quite large. The attention to detail and the quality of work and product is great. We did have some custom things we wanted to be done and they met those requests very easy. I can't say enough about the great experience I recently had working with Steve Hayes, owner of Emmet Kitchen & Bath. Not only does he have a great line of products at varying price points, but he doesn't push anything and has the skills to install what you buy. I like that continuity from designing to purchase to install. I was so happy with Emmet Kitchen and Bath. 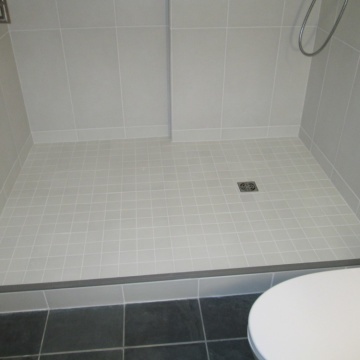 They were one of the very few contractors that everything went smooth during the installation. Steve is a true Master-craftsman and makes sure everything is done right. I have confidence his work will stand the test of time! 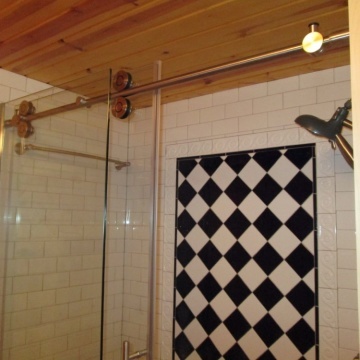 Emmet Kitchen and Bath is a consummate building company for kitchens and bathrooms. I would recommendto anyone. 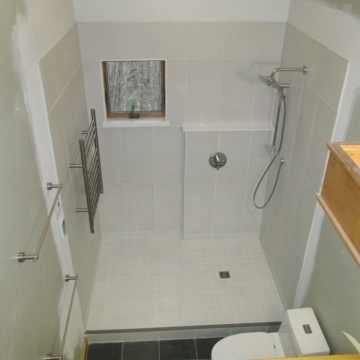 Since we were out of state when Steve Hayes worked on our bathroom remodel, we were very pleased that he was always readily available to speak with us, keeping us well informed on the progress of our job. 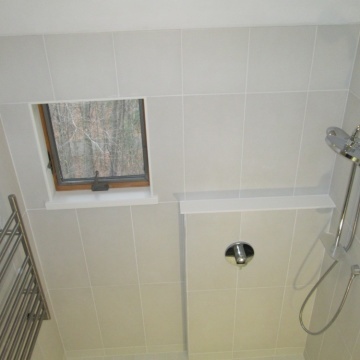 He sent pictures and when we arrived to see our bathroom we were extremely pleased with the results. Thank you Steve for your assistance and care for our project. On time, on budget, and excellent quality. I think they did a great job and we have been very pleased. 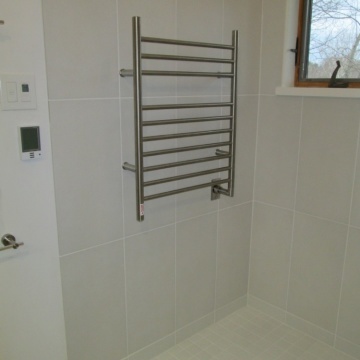 Steve is great to work with and delivers a high quality product and installation. Will definitely ask Steve to do my next project! I highly recommend Emmet. Steve was very good and I would employ him again. 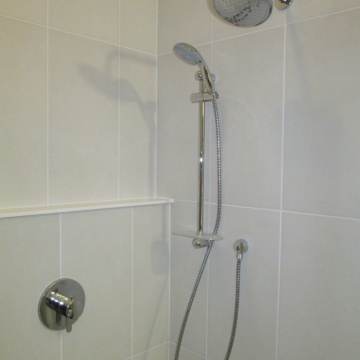 We were always kept informed about what was going on and the project was completed on schedule and within budget. We were very happy with the results. 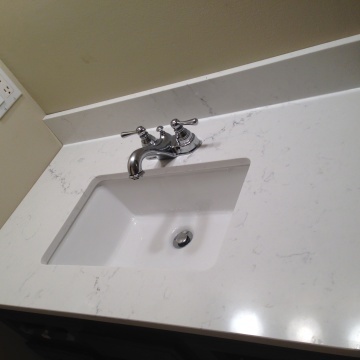 We will recommend Emmet Kitchen and Bath to anyone looking for quality kitchen and bath work and will use them again should the need arise.